Demonstrators outside a McDonald’s restaurant in New York in May. 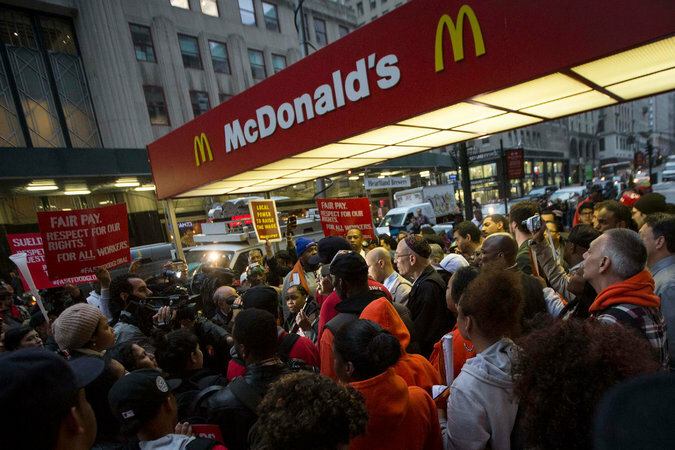 Fast-food workers seeking higher wages plan new strikes and demonstrations this week. The organizers say fast-food workers — who are seeking a $15 hourly wage — will go on strike at restaurants in more than 100 cities and engage in sit-ins in more than a dozen cities. “On Thursday, we are prepared to take arrests to show our commitment to the growing fight for $15,” said Terrence Wise, a Burger King employee in Kansas City, Mo., and a member of the fast-food workers’ national organizing committee. At a convention that was held outside Chicago in July, 1,300 fast-food workers unanimously approved a resolution calling for civil disobedience as a way to step up pressure on the fast-food chains. Campaign success at KFC Thailand! 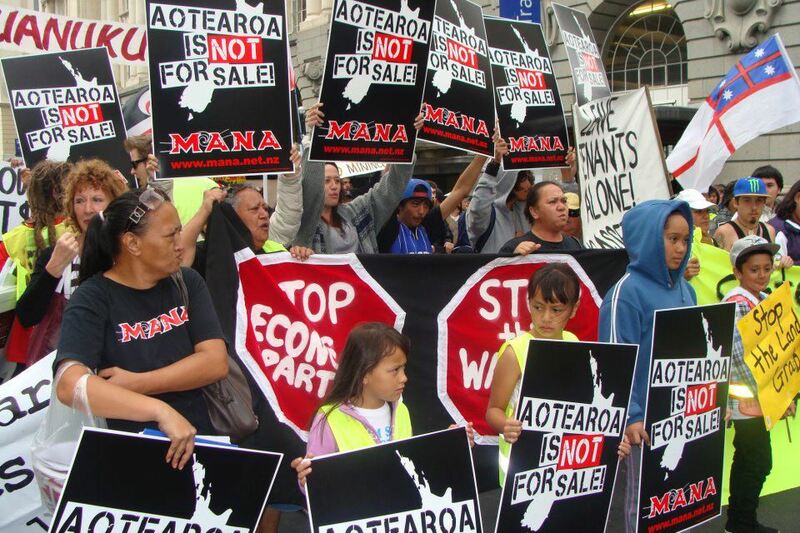 Is Graeme Hart exporting NZ egalitarianism or Union Crushing Scrappers? The furore over the revisionist celebration of Union crushing goon squads in public art on the Waterfront is a reminder of the brutal manner in which NZ history is littered with examples of violence meted out to organized labour. It is the right who have always been prepared to use violence and state intimidation towards the workers and Unions of NZ. 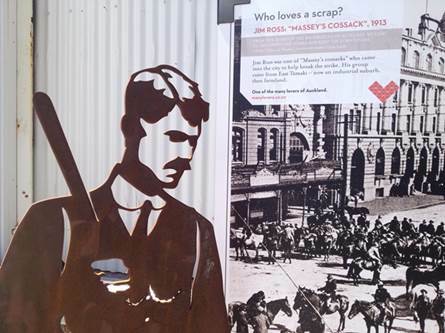 It is a history that is forgotten and distorted and leads to public art celebrating vigilante militia like the ‘Massey Cossacks’ as ‘Lovers of Auckland’. Under the National Government, industrial relations have increasingly become more sour and bitter. The un-costed Ports of Auckland fiasco that saw a workers personal employment details leaked and used against him, the AFFCO dispute where the company were prepared to let 5000 children starve during their viscous tactics with the Meat Workers Union, and a Government intent on passing even more draconian employment law all add up to a low level civil war where class is never mentioned. Against this back drop, enter one of NZ’s richest men, Billionaire Graeme Hart. Unlike Bruce Wayne, Graeme doesn’t seem to be exhibiting much of the milk of human kindness when it comes to the actions of companies he owns. In 2011 a company called Pactiv LLC purchased six Dopaco plants in Stockton, California and remains the owner at this present time. Pactiv LLC is a part of Reynolds Group Holdings Limited, which is owned and controlled by Rank Group Ltd., a privately held investment company located in Auckland, New Zealand. Graeme Hart is the principal, strategic owner of Rank Group and is one of the richest men on the planet, with an estimated fortune of $6.1 billion. So what is happening in Stockton, California that’s so rotten its smell has wound up here in NZ? US based Unionists tell TDB that the Association of Western Pulp and Paper Workers, a west coast US union, has represented roughly 400 workers at the Pactiv plant in Stockton, California (known as Dopaco plant until 2011) since 1982, making fast food cups and the plastic lids for the cups and fast food containers such as the fry and sandwich containers. Customers include Starbucks, McDonalds, and most major US fast food companies. The bargaining relationship between the AWPPW and Pactiv (Dopaco) has always been good until this round of bargaining. There were never any strikes, lockouts or job actions associated with the collective bargaining process. Currently there are several long-term employees in Stockton who have been with the Company since the early eighties. The Stockton plant was the most productive plant when it was well managed. The Stockton plant was a model to other facilities and many of the Stockton employees were utilized to provide training, process analysis and maintenance services to the other Dopaco plants. It is no coincidence that this plant has become less efficient under Pactiv management. Dopaco Stockton was a success because their management believed in “listen to the experts.” They knew that the people running their equipment knew best what was needed to make things run better because they actually did the work. The employees helped to make decisions on the course of action(s) to take to improve operations. Today under Pactiv there is virtually no employee involvement in the process despite constant pleading from the Union and employees to management to involve the employees. The London Ontario plant was the first of the Dopaco legacy plants to bargain a Collective Bargaining Agreement (CBA) with Pactiv. The Canadian Auto Workers Union (CAW) settled an Agreement with Pactiv in January of 2013. The CAW 2013 CBA with Pactiv includes the elimination of the defined pension benefit for all future employees and the use of temporary agency employees for up to 12% of the total employee headcount. The Stockton California plant is the second of Dopaco legacy plants to negotiate a CBA with Pactiv. AWPPW began negotiations in November of 2012 and are currently still bargaining for a fair contract. Unionists tell TDB that Pactiv has no intention of bargaining a fair agreement with the Union. The Company spokesperson, Erin Ahearn, notified the Union in opening discussions that the Union could strike or do whatever they deemed necessary, but in the end the Company would have the concessions they were demanding. The Company’s demands include the freezing of the defined pension benefit, the elimination of the paid lunch break, the use of an unlimited amount of temporary agency employees and an inferior health and welfare plan. The Company’s proposal to eliminate the paid lunch period would cut the employees to 37.5 hours a week and would equate to a 6.25% wage cut. The employees and their union have begun a public campaign to urge Pactiv to stop pushing for concessions, currently focused on Starbucks and McDonalds. These workers deserve better than wholesale slashing and burning of their hard earned benefits and Graeme Hart can’t hide his ownership of this type of wholesale exploitation. Is Graeme Hart exporting NZ egalitarianism or the Union Crushing Scrappers so grotesquely celebrated on the Auckland Waterfront? What type of NZ entrepreneur does Hart want to be? One that champions NZs egalitarian principles or one that brings disgrace to our country? Graeme Hart should contact Pactiv CEO John McGrath at 847-482 2264 and urge him to settle a concession free contract with AWPPW Local 83 as soon as possible so that he can set his legacy righteously. KahInn Lee is a former McDonald’s guestworker in the United States on the front lines of immigration reform. A McDonald’s franchisee used KahInn and other guestworkers as a sub-minimum wage, exploitable workforce—but the workers stood up to expose the abuse and stop it. Corporations like McDonald’s want to hugely expand guestworker programs through immigration reform, while leaving out basic protections for guestworkers and the tens of millions of U.S. workers alongside them in the same industries. We are unions, labor federations, youth, and human rights organization from countries where McDonald’s agents recruit low-wage temporary workers to come to work in McDonald’s franchises in the United States. 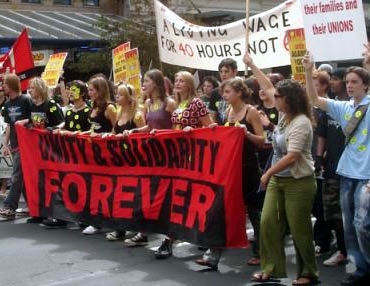 On March 6, temporary international workers on J-1 visas from around the world went on strike to expose severe exploitation and retaliation at McDonald’s restaurants in the United States. They joined U.S. workers and union leaders in demanding that the fast food giant take responsibility for labor abuse at its restaurants—and their fight reached the pages of Wall Street Journal, The Nation, and NBC News. Despite threats of deportation by the franchise management, these young workers bravely joined the National Guestworker Alliance (NGA), went on strike and launched a campaign to demand dignity and the freedom to organize for themselves, and for all McDonald’s workers. As workers, trade unions, students, fathers, mothers, human rights organizations and community members from countries around the world where McDonald’s agents recruit international labor we are demanding an end to the abuse. 2. 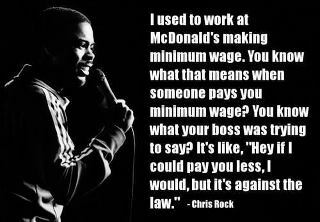 Guarantee freedom of association and the right to organize without retaliation for all of McDonald’s workers worldwide.